Finding the right health care providers is important! You want to build a relationship with your practitioners based on mutual trust and respect so you can receive the care you need for many years to come. The same should be said for your dentist. You don’t want to be just another number in a “big box” dental chain, or be stuck with one-size-fits-all treatment options that may not suit your needs. Dentistry should be personalized and tailored to the individual. 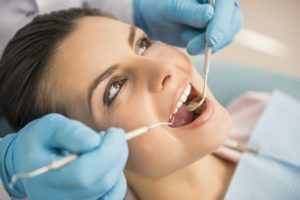 If that sounds accurate to you, read on for more tips on finding and excellent Longmont dentist. What kinds of continuing education does the dentist participate in? Does the practice see children? If so, starting at what age? Does the office use the latest dental technology? How does it benefit patients? How long has the dentist been practicing in this community? These are the types of questions that truly give you a feel for what the practice is about. It also doesn’t hurt to talk with staff members and ask them questions too. This will give you an idea of what it’s like to work with the dentist. Scheduling a consultation with your prospective dentist is an excellent idea, especially if you are considering treatment such as cosmetic dentistry. This will give you the opportunity to ask all your questions and also hear about their treatment ideas and philosophies. If you’re considering cosmetic work, ask to see before and after pictures of patients who have had similar treatment. This will help you determine if the dentist’s skill level and artistry meets your needs. Schedule a tour, or drop by your prospective provider’s office to look around. This is especially important if you have children to think about. Does the office feel warm and welcoming? Is it clean, modern, and equipped with state-of-the-art technology? These are the factors you can determine when you take an office tour. If you’re looking for an excellent dentist in Longmont, why not consider Longmont Complete Dentistry? If you choose us for your dental home, you’ll find exceptional dentistry delivered in warm and friendly environment by highly experienced dentists. Dr. James Maurer has been taking care of patients in Longmont for over 20 years. He is excited to welcome his son Dr. Dan Maurer to the practice, who will be carrying on the tradition of excellent dental care and building upon our reputation in the years to come. We know you’ll appreciate the difference you experience when you choose Longmont Complete Dentistry for your dental care. If you’d like to contact our practice, we can be reached by calling 303-776-2214 or through our website.